$695. Comp cams ductile roller camshaft and comp cams 885 lifters by Johnson with adjustable thrust. This is a great deal and I’ll sell you whatever camshaft you want if I don’t have it on the shelf. Lead time if I don’t have it here. Springs and other hardware available also. Message for payment info. 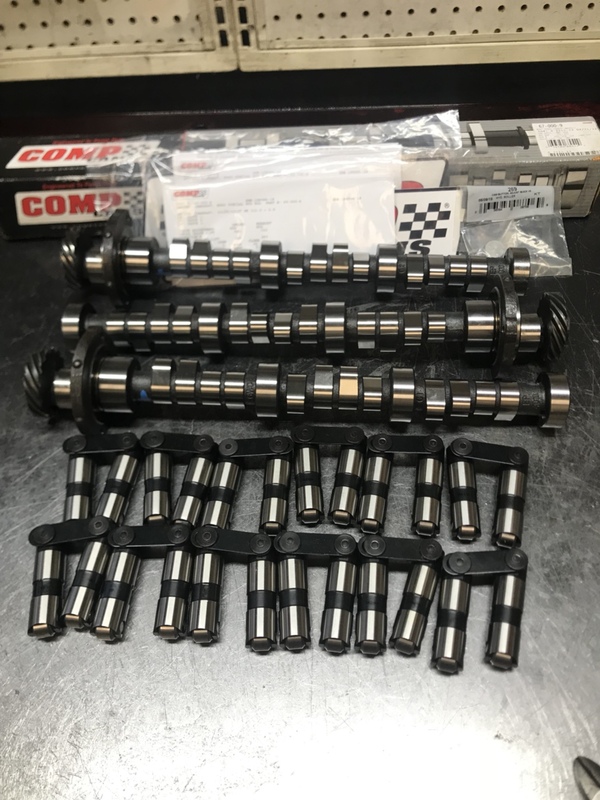 Here are common and typical requirements for camshaft overlap @ .050” for turbo applications where exhaust pressure to intake pressure is 1.5:1 to 1.75:1 and compression ratios are between 8 and 10:1. Thanks for the good deal on high quality products......my new cam is on the way. Bison has hooked me up as well. I wish I would have seen this 3 weeks ago! Great deal! can we still get this? While it is all apart, I think a new cam and converter is in order. How do we proceed? Bison, I got your message - trying to remember all the things you probably want to know...I took an hour tying to put it all together and look forward to working with you.